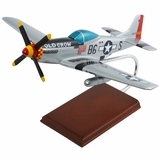 Our history of the United States Air Force Stein is truly a fantastic collectible. 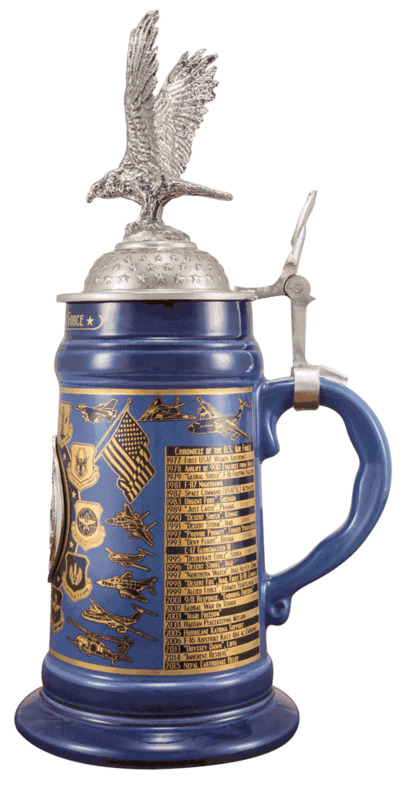 Beer steins have a long history of being collectibles due to their distinctive designs, and our Air Force Stein is no exception. 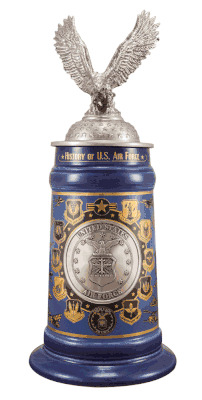 This stein handsomely displays a timeline of major events and accomplishments of the U.S. Air Force. Nancy’s Notes: Offering quality merchandise has always been one of the core principles of Tailwinds.com. 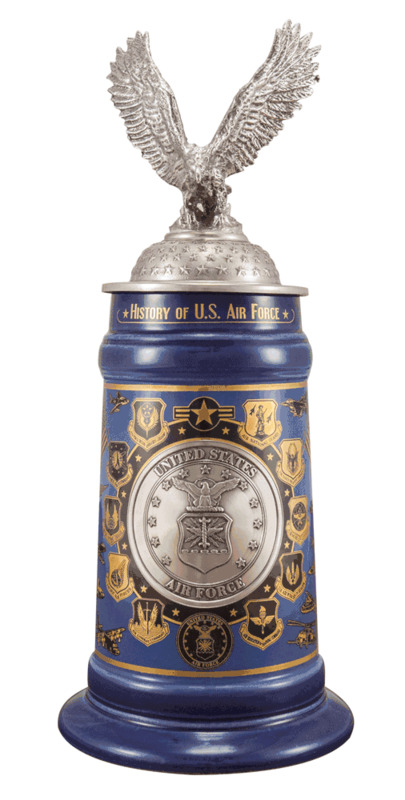 The history of the United States Air Force Stein is one such example. This stein is not some inexpensively made knock-off from China. It is an authentic stoneware stein produced in Germany. The fact that it is also a limited edition of 5,000 units worldwide adds to its value as a special, unique collectible. The body of the Air Force Stein is crafted in two-tone blue glazed stoneware with a gold wrap around design. 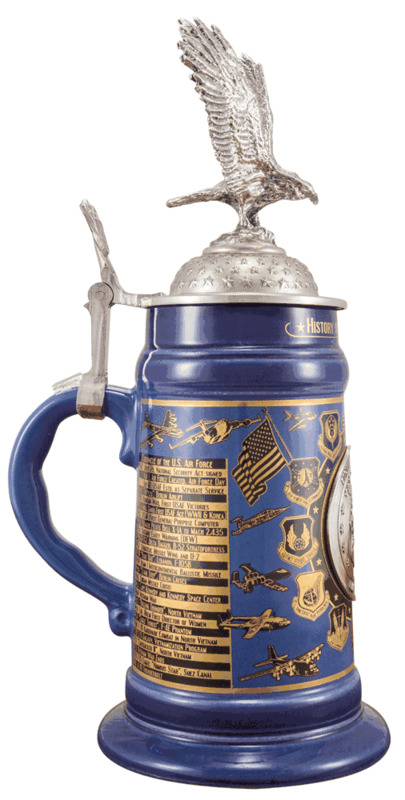 The stein’s center badge, crafted from pewter, boldly displays the emblem of the U. S. Air Force. It is speculated that lids where added to steins during the middle ages simply to keep infected insects out of the beer during the black plaque. The extraordinary lid on the stein, also crafted from pewter, shows an eagle. The eagle, forever a symbol of powerful flight, sits atop the ornamental lid with extended wings, and rows of raised stars. 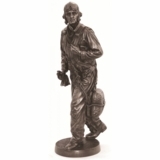 The history of the United States Air Force Stein is truly a wonderful gift for oneself, a fellow pilot, or a collector.